Magnesium is the main activator of many enzyme systems. A good supply of magnesium keeps the skin in good physiological conditions. Coppers is an important adjuvant in oxidation reactions. Stimulates the production of collagen and its presence allows the proper functioning of the enzymes. Finally, zinc, a trace element that is essential for good cell growth. Our skin contains approximately 20% of the total zinc of the body, but for example, desquamation determines a zinc deficiency with inevitable damage to the growth process. It serves as an activator for DNA and RNA and contributes to fight against of cells and stimulates growth. 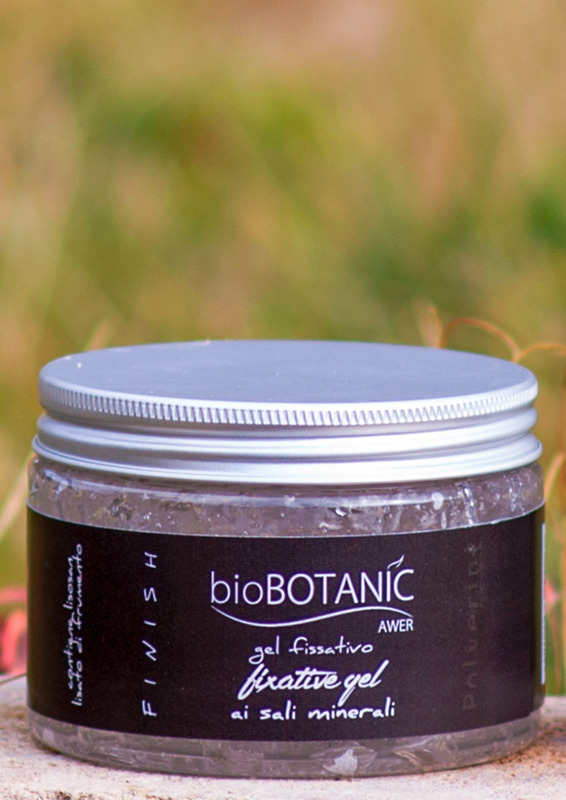 Fixative gel for styling and finishing, it can be applied both on dry or wet hair. Apply a small amount of product on the hair and dry with hair diffuser.